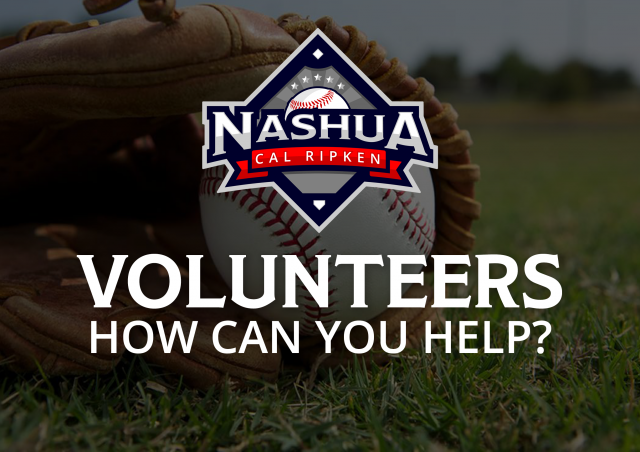 Updated Saturday February 23, 2019 by Nashua Cal Ripken. Each year, one of our primary focuses is to figure out how to involve you. We could really use your help, as there are a number of tasks that could alleviate some of the workload incurred by our board of volunteers. We would appreciate it if you could take 1 minute of your time to fill out the following lightning-quick survey, and tell us how you would be willing to help us this year.